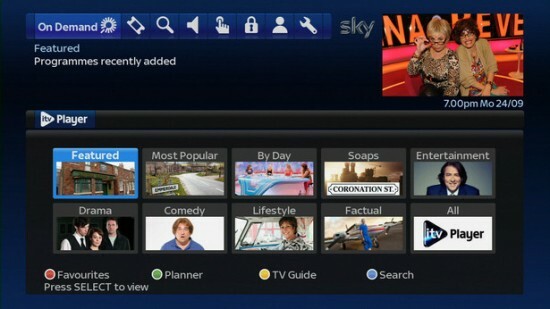 Sky has just officially announced its brand new Sky+ HD service called Catch Up TV which will bring Sky+ users access to the Sky on demand service as well as access to ITV player and 5 on Demand, with use of BBC iPlayer coming this autumn and 4oD arriving in early 2013. The new 7-day Catch Up TV section of its on demand service will appear in users’ service menu and will allow Sky subscribers to view and access programs form the last 7 day’s worth of content, all through their Sky+ box. Sky’s on demand service also includes access to box sets such as Mad Men, An Idiot Abroad and Mad Dogs, available at no extra charge to Sky customers. 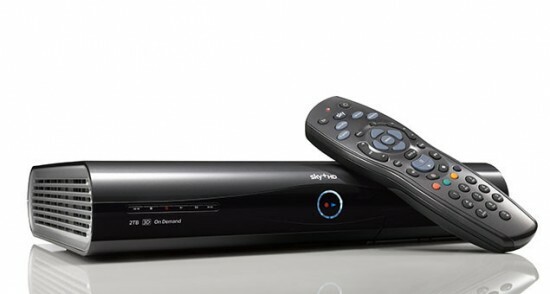 All you need to do to access Catch Up on your Sky+ box now is to make sure your Sky+ HD box is connected to your router via an ethernet cable and the update will take effect automatically at no extra cost. Additionally, Sky will be launching a new Sky+HD 2TB box to coincide with the new Sky Catch Up TV services for new customers. Sky says the new box is “In response to customer demand for extra space” and that the new Sky+HD 2TB box will provide a whopping six times more storage than a regular Sky+HD box. The massive 2TB storage on the new Sky+ box will hold up to a huge 350 hours of HD content, which equates to more than two week’s worth of HD TV viewing all on the one box. And finally, Sky has been promoting its new Sky+ app for iPad that will let users connect to online communities to chat about TV shows and to share thoughts about the show. The new app will also make use of the iPad as a second screen for when watching select Sky content. For example, when watching Champion’s League football, the iPad app will display live scores from other games, results, news and fixtures while you watch. The new app will go live this week and it will allow users to contribute towards programs using Twitter and the online chat feature, while users will be able to view additional information on the show they are actually watching, like a run-down of the previous episode or who stars in the show. Our favourite use of the app is the inclusion of a virtual TV remote that may put to bed the old lost remote/too many TV remotes issue. Customers will be able to use the app to change the channels on their Sky box through a swipe of their fingers on the iPad, as well as browse their Sky+ planner through the app, adding and deleting shows without interrupting their viewing on the main TV set. 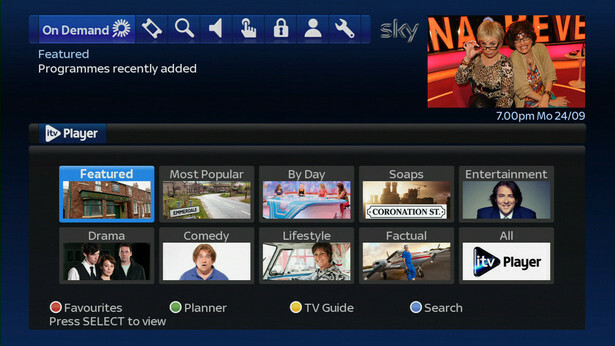 The Sky+ app update will be available for free to Sky TV customers in the coming weeks from the Apple App Store.